Omnistar Tell makes it easy to set up a referral program for your business. Use Omnistar’s referral marketing tools to increase your traffic, leads, and sales. Get more website visitors to promote you. The social share widget makes it easy for your website visitors to promote you. All they have to do is enter their email address and then promote you on their social profiles. Reduce bounce rate and increase sales conversions. Increase sales and referrals by providing discounts and coupons. Incentivizing customers reduces bounce rates and increases sales. Reward your brand advocates easily. Omnistar Tell makes it easy to reward your customers for referrals. You can reward them with commissions, gift cards, discounts, and any other reward you and your advocate agree on. Turn more customers into loyal brand advocates. You can set up Omnistar Tell to turn all your customers to brand advocates. If you enable this feature, any new customer who signs up will get registered as a brand advocate automatically. Recruit more brand advocates from thank you pages. Create thank you pages that make your business go viral. Visitors who land on the thank you pages will be able to promote via social networks. You can also use the thank you pages to run contests. Create competitions amongst your brand advocates to keep them engaged and motivated to drive more traffic and sales to your business. Provide your brand advocates with email swipe copy that is ready for them to use when sending emails promoting your business. Giving your advocates email copy makes it easier for them to promote via email. Get feedback for your business. Send a feedback survey email to find out which customers would recommend your business. Instantly convert those customers to advocates and have them start promoting you. Customers who choose not to recommend your business will give you feedback. You can use this feedback to improve your business. Generate leads from every page of your website. Create popups and forms that will display based on a visitors action on your website. The criteria includes what pages they've visited, how long they've stayed on a page, and more. These popups and forms will build your email list and increase sales. Develop partnerships to get more traffic and sales. Make it easy to build relationships that will generate referral sales for your business with partners. You can use Omnistar Tell to track and reward partners who promote your business. We have tracked more than 5 million transactions worth over $1 billion. Omnistar Tell has been great for my business, it has helped me gain helpful advocates willing to promote my business. The software is easy to set up and customize and looks a lot better than most other referral solutions out there. It was easy enough to integrate into my system and the documentation is very in depth and helpful. By using Omnistar Tell, we are able to track and pay advocates that would have been impossible by hand. Omnistar Tell lets us make sure our advocate team is provided the best service possible. We use Omnistar Tell for promoting our CRM. By working with advocates that promote our product, and by having great sale margins we make sure everyone gets the most of what they do. Omnistar Tell has all the powerful tools you need to grow with referral marketing. We also support you along the way. You will get the best 1-on-1 customer support and help. Click below to get started for free. 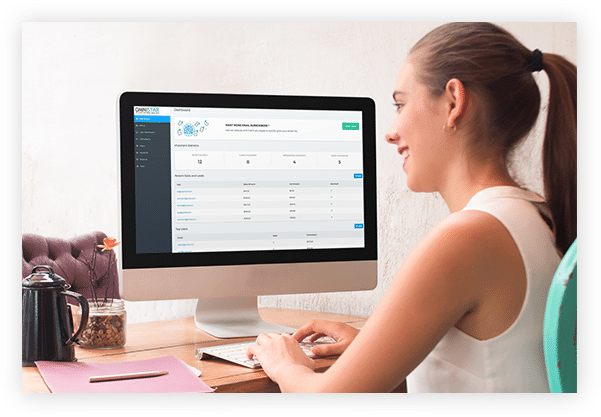 Omnistar Tell - The leader in referral tracking software. Discover how to get more sales by starting a referral program.